Coffee has a chemical complexity that, through the roasting process, creates a broad range of vibrant flavor characteristics. This same molecular diversity is also responsible for a variety of health effects in humans. Caffeine is certainly the most well-studied, but it is far from the only pharmacologically active molecule extracted during a brew. Some of these chemicals are elusive, and their effects poorly understood. Others, after decades of research, have concrete benefits and detriments firmly borne out by data. In this 8-part blog series, we delve into the myriad truths, half-truths, and indeed, fallacies, related to the impact that coffee has on your health. Is it good for you? Is it bad for you? Is it going to make your teeth brown? Does coffee make you smarter? Read on to find out. The trouble begins when, on a slow news day, media outlet writers scour recent scientific papers. The resulting headline reads something like, “new study finds surprising health benefits of your morning banana”. This may seem like no big deal, but scientists inadvertently screw up studies all the time, in all kinds of ways. Even perfect studies are rarely funded well enough to fully explore a scientific theory. This means that a single study can be a jumping-off point for future research, but most scientists will not even consider forming a “scientific consensus” until hundreds or thousands of well-designed studies confirm a similar finding. The public doesn’t know this. Once it's in the news it sounds an awful lot like a fact. Writers from other sources pick up the banana story to meet their publication quotas. In response to the acclaim, businesses in the weight loss industry (an industry worth about $20 billion) jump to make a banana supplement or proprietary product. If its a supplement, customers can have it in hand before it has even been deemed safe, nevermind effective. Scientists said it was healthy and it was on the news. How would the average person know better than to buy it? Post-digital consumers have a tough task parsing fact from fiction. There is too much contradictory information out there and, as a result, many consumers chose to buy-in on claims that are convenient to them (e.g. chocolate consumption leads to weight loss) and reject claims that are not (e.g. preserved meat consumption is associated with many long term health issues). Below you will find the scientific consensus on three coffee-related health fads that have been prematurely adopted as fact. In each case there was a failure to critically validate study methodology, to frame scientific discoveries in logical grounding, or to wait for a larger body of evidence before making conclusion. The public was so excited to accept the findings that they bucked the reactionary skepticism they’ve often displayed towards other areas of science. We’ve done the hard work for you and vetted the research to determine its validity. Unroasted coffee beans, called green beans, contain an antioxidant called chlorogenic acid (more on antioxidants later in this blog series). Roasted coffee also contains chlorogenic acid, although in lower quantities. This is the molecule thought to be responsible for the product’s weight loss claims. While there have been several studies that show an effect of green coffee extract on weight loss, each study has methodological issues that make its findings less credible. Additionally, these studies combined do not make for a great enough body of evidence to ensure that the product is safe to consume in high doses over a long period of time. And if that weren’t enough, regular coffee is also associated with weight loss. In response to these preliminary studies green coffee extract was featured on the Dr. Oz show in 2012. Mehmet Oz, the host, introduced the segment saying, “You may think magic is make believe, but this little bean has scientists saying they found the magic weight loss cure for every body type”. Instead of the whole country getting skinnier, the company making claims on that supplement was charged with deception by the Federal Trade Commission and settled for $9 million in customer redress. Oz was warned to step back his ‘magical’ language and claims about weight loss supplements in a senate subcommittee meeting in 2014. The most popular coffee fad in the last five years actually has nothing to do with the coffee itself. Bulletproof coffee emerged on the scene around 2013, though the recipe was available from the company’s founder as early as 2009. Bulletproof coffee, in context of the Bulletproof diet, means replacing one's entire breakfast with a cup of mycotoxin-free coffee (see the next section) topped with high-quality butter and MCT oil. Butter and MCT oil (usually derived from coconut oil) both contain medium-chain triglycerides (MCTs). MCTs are fats that are smaller in size, molecularly, than much of the fat we regularly consume. They are transported directly into the liver and broken down for energy faster than long-chain triglycerides, which instead travel very slowly through the lymphatic system. Consuming MCTs may result in increased energy similar to the effect of increased blood sugar. Bulletproof Nutrition asserts that these MCTs in coffee can be used in lieu of carbohydrates for energy, however the evidence actually suggests that the greatest energy benefit comes from consuming MCTs alongside carbs. Sugar is the only substance the brain uses for energy, so starting your day without any source of carbohydrates is starting at a detriment. While the MCTs may exert a genuine benefit, there’s no reason real reason for them to be paired with coffee except maybe for shock value. Low mycotoxin coffee is the second part of the bulletproof coffee recipe. Mycotoxins are poisonous chemicals produced by mold that can be found naturally on grains, beans, fruit and just about everything else we consume. Bulletproof nutrition claims that regular coffee contains these toxins (that is true) and therefore consuming that coffee slows physical and mental performance (that is likely false). A relatively large body of research on mycotoxins in the food supply shows that the levels we consume are far from causing adverse effects. The the bulletproof diet cites how frequently these mold toxins are detected at all in regular coffee, but doesn’t mention that they are also detected in milk, breast milk, flour, peanuts, etc. These mycotoxins can be detected in just about anything, including the air we breathe. That doesn’t mean we’re all in big trouble, just that they are unavoidable and nothing new to the human experience. The legal limit in each product is set quite conservatively, yet the bulletproof literature suggests that legally compliant coffee is not good enough. Several publications studying mycotoxins in coffee have in fact recommended discontinuing future study because of the lack of evidence at any relevant health threat. Even when green coffee beans are intentionally dosed with these toxins the resulting coffee, after roasting and brewing, showed no residual toxin. Trying to make foods mycotoxin free is akin to avoiding all exposure to bacteria. Perfectly sterile food is not practical or sustainable. And if you’re only worrying about mycotoxins in coffee and not in peanuts, milk, and air, then getting low-mycotoxin coffee and is like a germaphobe compulsively sanitizing just one finger. Is the information coming from a single study? Are you hearing the claim from a source that stands to profit if you buy in? Does the endorsement include words like “miracle”, “magic”, “unbelievable”, etc? Do relevant groups like the World Health Organization, the American Heart Association, the Academy of Nutrition and Dietetics, etc. fail to endorse this product as part of a healthy lifestyle? It can be mentally draining to apply stringent logic to all of the new information we hear. If you encounter something that relates to coffee, write to us- we’ll research it and let you know what we find. Onakpoya, I., Terry, R., & Ernst, E. (2011). The use of green coffee extract as a weight loss supplement: a systematic review and meta-analysis of randomised clinical trials. Gastroenterology research and practice, 2011. Bidel, S., Hu, G., Sundvall, J., Kaprio, J., & Tuomilehto, J. (2006). Effects of coffee consumption on glucose tolerance, serum glucose and insulin levels-A cross-sectional analysis. Hormone and Metabolic Research, 38(01), 38-43. Lopez-Garcia, E., van Dam, R. M., Rajpathak, S., Willett, W. C., Manson, J. E., & Hu, F. B. (2006). Changes in caffeine intake and long-term weight change in men and women–. The American journal of clinical nutrition, 83(3), 674-680. Henry-Vitrac, C., Ibarra, A., Roller, M., Mérillon, J. M., & Vitrac, X. (2010). Contribution of chlorogenic acids to the inhibition of human hepatic glucose-6-phosphatase activity in vitro by Svetol, a standardized decaffeinated green coffee extract. Journal of agricultural and food chemistry, 58(7), 4141-4144. St-Onge, M. P., & Bosarge, A. (2008). Weight-loss diet that includes consumption of medium-chain triacylglycerol oil leads to a greater rate of weight and fat mass loss than does olive oil–. The American journal of clinical nutrition, 87(3), 621-626. Han, J. R., Deng, B., Sun, J., Chen, C. G., Corkey, B. E., Kirkland, J. L., ... & Guo, W. (2007). Effects of dietary medium-chain triglyceride on weight loss and insulin sensitivity in a group of moderately overweight free-living type 2 diabetic Chinese subjects. Metabolism-Clinical and Experimental, 56(7), 985-991. St-Onge, M. P., Bosarge, A., Goree, L. L. T., & Darnell, B. (2008). Medium chain triglyceride oil consumption as part of a weight loss diet does not lead to an adverse metabolic profile when compared to olive oil. Journal of the American College of Nutrition, 27(5), 547-552. Levi, C. (1980). Mycotoxins in coffee. Journal-Association of Official Analytical Chemists, 63(6), 1282-1285. Tsubouchi, H., Yamamoto, K., Hisada, K., Sakabe, Y., & Udagawa, S. I. (1987). Effect of roasting on ochratoxin A level in green coffee beans inoculated with Aspergillus ochraceus. Mycopathologia, 97(2), 111-115. Vieira, T., Cunha, S., & Casal, S. (2015). Mycotoxins in Coffee. In Coffee in Health and Disease Prevention (pp. 225-233). García-Moraleja, A., Font, G., Mañes, J., & Ferrer, E. (2015). Analysis of mycotoxins in coffee and risk assessment in Spanish adolescents and adults. Food and Chemical Toxicology, 86, 225-233. Most people travel five minutes to get their coffee, we traveled five thousand miles to get ours. Tara, production manager extraordinaire, and myself, Portuguese-speaking barista, were sent to Brazil to choose from the year’s harvest for our 2018 offering of Fazenda Ambiental Fortaleza coffee, lovingly known by 1000 Faces regulars as FAF. Not only was this our first coffee-buying experience, but our first visit to a coffee farm. From the moment we arrived in São Paulo, our fellow coffee buyers and the FAF representatives told us that our experience was not going to be characteristic of most - FAF is a unique coffee farm. Founded in 1850, Fazenda Fortaleza has remained a part of Silvia Barretto’s family for generations. When Silvia inherited it in 2001, she converted it into an organic farm and added an integral word to the farm name, dubbing it Fazenda Ambiental Fortaleza (Environmental Fortress Farm). The move to organic and sustainable practices was a ten-year process. It took five years for the plants to start adjusting, then another five years to rebuild a sustainable coffee crop capable of supporting the farm. During that time, Silvia used bees and cows (both milk and meat) to support the farm. She also implemented permaculture practices. All these methods were unusual for a Brazilian coffee farm. Silvia continues to pioneer innovative projects on the farm and within the Mococa community. Her husband, Marcos, and her son, Felipe, have taken over much of the coffee business. Felipe went on to tell us that the past several years it has been raining a lot in May, so let’s work backwards from that. If we don’t want our cherries to be ripe and ready to pick in that rainy month, we’ll look for a varietal (i.e. O Batã) that ripens later, in the end of June. We’ll also seek out a fertilization technique that delays the maturation of the coffee. The goal is to start harvest during the cherry stage at the end of June. June is the coldest time of the year, so the cherry stage “hibernates.” The longer the fruit is on the tree, the more sweetness and density it gains, extending the hibernation period. The hibernation period allows more time to pick the cherry at its prime stage- rewarding the producer with greater quantity and quality. Before a cupping session, Felipe guided us to an area where he is growing test coffee varietals, endemic and non-native. He is curious to see which ones flourish and under what conditions. He has established a coffee lab to experiment with different coffee varietals and methods of processing, roasting and brewing. The FAF team has two coffee labs: one at the farm in Mococa and the other, FAFstudio, in Marcos’ childhood home in the city of São Paulo. Upon our arrival in Brazil, Tara and I went directly to the FAFstudio. We met Felipe, Wago and Nelson, important FAF players. Bags from roasters worldwide who use FAF beans lined the tops of cabinets and shelves. Admiring the array of bags, we noticed many cited Silvia Barretto as the owner. It was inspiring to see a female farmer being acknowledged! With pride, we spotted our 1000 Faces bag. It was fun to poke around the studio. Music was booming and jokes were exchanged between Rafa, roasting, and Bernando, sorting beans, for Isso é Café. Yes, we were in a different country (truly a different hemisphere), but the feeling of personality, energy and camaraderie in the space was reminiscent of our 1000 Faces production area. Isso é Café (This is Coffee) is the roasting brand Felipe started in collaboration with FAF and FAFstudio, as well as the name of their two cafés. Nelson took us to one of the café locations at the entrance of Beco de Batman (a celebrated long alley full of ever-changing graffiti art) in the heart of the bohemian Vila Madalena neighborhood. It is a streamlined and modern, yet inviting, space. We sat outside under Ipé trees, Tara with an espresso, myself with my first-ever affogato (a scoop of vanilla ice cream in espresso - Hello heaven! ), and soaked up the atmosphere. Those who work at or frequent 1000 Faces often remark on a special feeling they have about the space. Simply put: its got soul. Soul is notable in both the Vila Madalena spot, and the other Isso é Café location at the historic Mirante, directly behind the São Paulo Museum of Art (MASP). 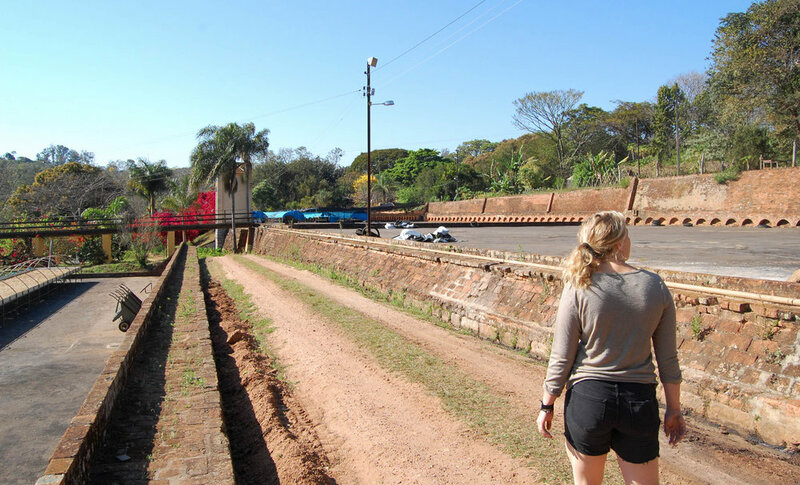 The next day, we headed off to the farm, located in Mococa, about 300 kilometers north of the city of São Paulo. Tara and I were accompanied by two other green (unroasted) bean buyers, Ángel and Charlie. Ángel has coffee in his blood. When asked how he started in coffee, Ángel said there was no start; it was always a part of his life. His great grandfather bought their family coffee farm in 1890 in his native El Salvador. Ángel moved to France for university and ended up working in Bordeaux at Belco, a green coffee importer and distributor. Charlie is from Oakland’s Blue Bottle Coffee Company. He began working in the coffee world at Intelligentsia Coffee in Chicago ten years ago, and is now the green bean buyer for Blue Bottle. He travels all over the world picking the best coffees for the specialty coffee company. Working alongside them could have been daunting, but Ángel and Charlie were open to questions and supportive of furthering our coffee education. It was exciting to embark on this coffee journey with these two knowledgeable, friendly fellows. Tara and I absorbed the coffee: its smells, its tastes and the exchange regarding it. It was surreal to share this experience with these coffee experts. They have spent anywhere from a decade to a lifetime in the coffee world and articulate the nature of the coffee clearly and eloquently. Cupping was a big part of our trip - in some ways the most important part. We were there to pick the coffee for our beloved FAF for 1000 Faces and its community of coffee lovers. We took the role seriously and enjoyed learning in the process. The 100+ cups we sampled in our cuppings weren’t just grown on FAF land. Fazenda Ambiental Fortaleza works with ninety farms, sixty within their region, to source their coffee and guide them with organic or sustainable management. “It is about changing your life model, not just your business model,” remarks Felipe. 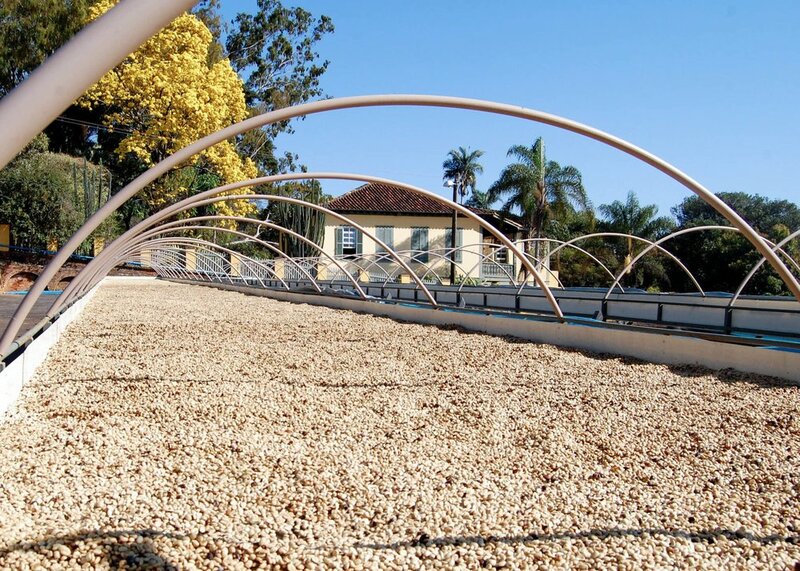 Brazil is the largest coffee producing country worldwide. FAF is a forerunner of the movement to change the Brazilian coffee mentality from focusing solely on quantity to focusing more on quality. We visited various producers on their farms in the surrounding valleys. One afternoon, we visited a large piece of land shared among three siblings and their families: Gertrude, João and Ivão. First, we met Gertrude. Her family shifted to producing specialty coffee ten years ago and started collaborating with FAF seven years ago. I asked her how she felt about the change to specialty coffee. She responded that it is a lot more work but definitely “vale a pena,” (worth it). It makes more money for her family, especially since the price of commercial coffee has decreased. She was proud of the two coffees the family offered us, curious to know our favorites, declaring with fervor that hers was O Batã. After eating bolo (cake) and polvinho (like a Cheeto, but without the cheese flavor) and drinking lots of coffee at Gertrude’s, we hugged goodbye and drove off to her brother João’s farm. Felipe parked the car and out we hopped, spotting a large boulder in the middle of the coffee plants, a waving João on top. We waded through the coffee plants and climbed up a ladder to join him. He welcomed us with coffee and bolo perfectly set up for taking in the stunning sunset that started to sweep across the landscape. As we gazed out and sipped, we also listened to João. Felipe turned the translating role over to me. João described how not too long ago people were ashamed to live on this land and wanted to leave. Now, working with quality coffee, he and others greatly value quality over quantity, not only because he can make more money but because it is an investment in their land for future generations. He spoke of the return to the forested land of before: rich terrain, clean water and land without threat of poison. “Agora,” João said expressing his pride in the land, “esta terra é uma fuente de orgulho.” It reminded me of Felipe describing one of the primary goals of FAF: maintaining the biodiversity and integrity of the land. More bolo, coffee and conversation awaited us at brother Ivão’s, where the same sentiments were expressed; sentiments that continued to echo with all the farmers. This was our favorite part of the FAF trip, having the opportunity to meet with all the producers and hear directly from them about their lives. FAF had clearly cultivated a community of coffee producers. 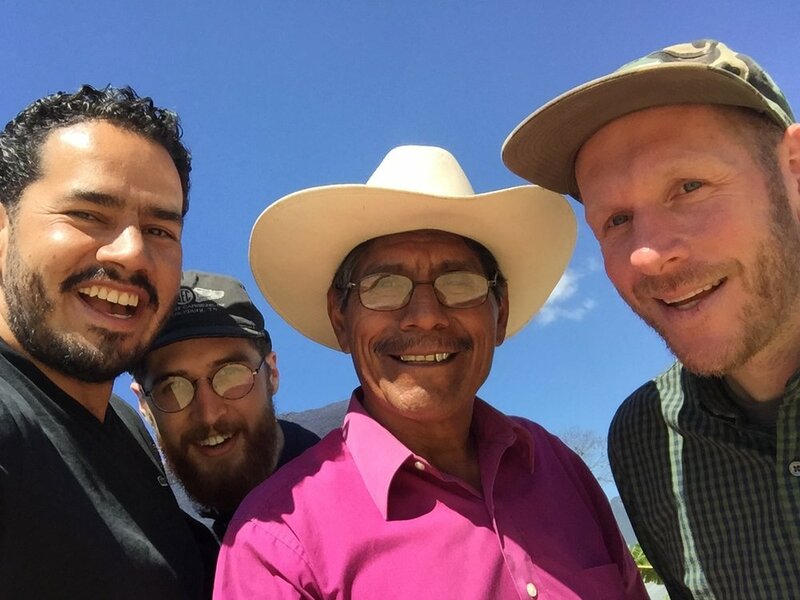 There was a strong, trusting connection between Felipe, FAF and these other producers who might otherwise not grow specialty coffee, not know how to run a sustainable or organic farm, or not profitably source their coffee without the network. FAF is intertwined with the Igaraí-Mococa community. The farm provides jobs for many people in the area related to coffee, farm upkeep and hospitality. Simone, the roasting queen who prepares all the sample roasts for the many daily cuppings, was born in the very house the cuppings take place! The Barretto-Croce family offers to fund a large portion of university tuition for each of the children of their workers. Silvia works in female empowerment projects in the community, including embroidery of tablecloths and placemats to generate independent income for women. For our last delicious lunch, visitors from São Paulo who were coordinating the second annual São Paulo choral festival in the region joined us. FAF was an important base for this festival last year, and will continue to be this coming January. In the last year alone, they have offered seminars on rural Brazilian architecture, astronomy and foraging nonconventional plants to eat. Sandor Katz, food fermentation author and expert, just headed a seminar on yeast and coffee this past weekend. FAF always wants visitors with different expertise and curiosities to foster an environment of learning and innovation. All are encouraged to participate in the conversation. One morning, Tara and I woke up early to do a little exploring of Fazenda Ambiental Fortaleza beyond the cupping area we had come to know so well. We ran into Marcos, who encouraged us to join him as he embarked on his daily morning walk. As we walked deeper into the farm, we ascended the dirt road, passing cows, until we reached the peak of the hill. We were surprised with an expansive view of the farm, its valleys and peaks that stretch on and on, sprinkled every once in a while with the vibrant yellow of the Ipé tree. Marcos guided us into the active organic section of the coffee farm. There were rows and rows of coffee plants. In between these rows, plants such as banana trees kept the soil fertile, controlled the weeds, and added to the diversity of the farm’s crops. FAF also practices passive organic farming: the traditional method of growing coffee in the forest. The best coffee sold from the farm comprises only 30-35% of their total coffee. Labor is expensive in Brazil, so there is no selective picking during harvesting. Five to thirty percent of picked cherries are green, depending on the time of harvest. Every bean is picked, then separated to undergo various processes (i.e. natural, washed, fermentation). Natural and washed were processes Tara and I were used to hearing about. Fermentation, especially through our Athens lens, conjured up pictures of kombucha and kraut, not coffee. The fermentation process can be applied to green coffee cherries, ones that are harvested before being optimally ripe. They are sorted out carefully so as not to interfere with the processing of the ripe, quality cherries. These green cherries normally would not taste good. But with some science and innovation, they can be processed for a good taste or as a useful ingredient. Felipe has been experimenting with the fermentation of coffee for a while. He notes fermentation makes the coffee cleaner, enhances the flavor, increases shelf life and improves homogeneity of the coffee. Fermentation applied over a period of time continues to increase the quality of the bean until it hits a stopping point. With just the mucilage on the cherry, fermentation cleans up some nuttiness and increases quality up to a stopping point of twenty hours. Adding sugar, however, allows fermentation to last up to 72 hours, giving more time for an increase in quality. Fermentation continues until it uses up the available sugar. Implementing different variables, Felipe wants to find the best fermentation techniques for making the most out of all the green coffee cherries. At the end of the trip, Charlie, Wago, Rafa (a coffee producer from Espírito Santo) and I gathered at FAFstudio back in São Paulo to participate in a cupping of Felipe’s fermentation innovations. He had conducted numerous tests, playing with variables such as: aerobic or anaerobic fermentation, the amount of time, and additives like wine yeast or sugar cane juice (from his mother’s farm). The coffees that had been fermented were from seasons past; coffees one would not normally brew up to drink. Felipe wanted our opinions regarding body, acidity, lengthening of shelf life, and most importantly, whether we liked it. Off we went again, sipping and spitting. Some spitting was noticeably more fervent after particular cups. Apparently, some variables had not produced an enjoyable coffee. Surprisingly though, a fair number of the fermented coffees were good. And some of them were even great! It was quite incredible when you consider the possible usage of these now tasty beans. Many products use coffee as an ingredient. A major one is pre-packaged coffee drinks that are almost equal parts coffee and milk or other flavorings. Using these beans would in no way diminish product quality, yet prove far more financially and environmentally sound. Felipe was utilizing coffee that normally would taste mediocre (or not be used at all) and executing this fermentation process. It has the possibility to substantially reduce coffee waste. This final cupping embodied two overriding principles of FAF: to conscientiously make the most of what the land offers and to innovate through experimentation, study and knowledge exchange. On our last day on the farm, Ashley, a WWOOFer at FAF, had guided us to the shade grown coffee area. It welcomed us with a sign meaning: “Nature is wise and fair. The wind shakes the trees, moves the branches, so that all the leaves have their moment to see the sun.” This reflects the mentality of Fazenda Ambiental Fortaleza. The FAF family not only includes Silvia, Marcos, their son Felipe and another son and daughter. It encompasses those who work on the farm, in a coffee capacity or otherwise, other coffee producers with whom they work, those from the FAFstudio and Isso é Café, and the surrounding community of Mococa. 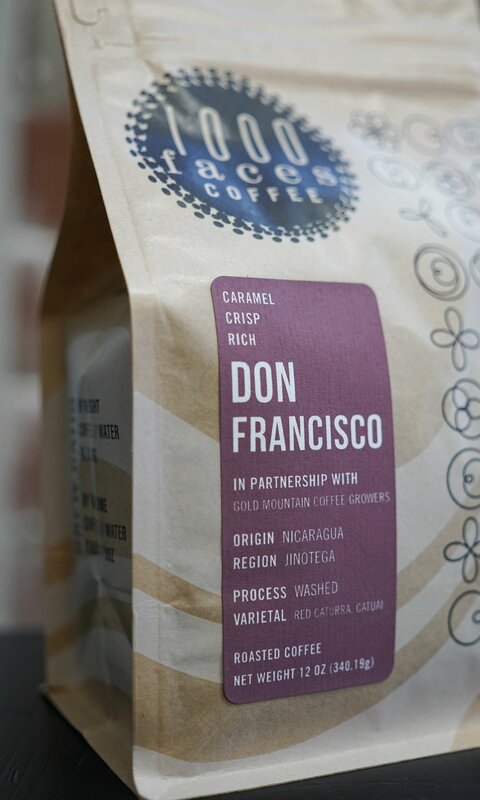 We at 1000 Faces have been part of the FAF family for nine years, and with each cup of coffee served our family grows. This year we entered two coffees into the Golden Bean Competition - the largest roaster competition in the world. Over 830 samples were entered from roasters across the nation with hundreds of coffee professionals traveling to California in September to participate in a four-day judging. This was some heavy competition and we are proud to say we won on two fronts. Espresso Savio won a Bronze Medal in the espresso category and Gorbota (a run-away favorite among our staff) won a Bronze Medal in the pour-over category. Both coffees represent the pride we take in our work and our dedication to putting forward quality coffee. Most of all, we are glad to be doing justice to the hard working farmers that poured their passion for coffee into the cultivation of every bean. This country has hundreds of coffee roasters that source beans from many thousands of farms around the world. From light to medium to dark roast, from African to Indonesian to American origin, from varietals to drying methods, from fancy espresso to the percolator, there are millions of ways to get you some coffee. Our specific methodology is to sample, experiment, educate, learn, and tweak. We simply want our customers to experience everything that coffee can be. It’s an honor to be rewarded for this work! Kids are not strangers to caffeine - a 12 ounce serving of soda has around 30 mg of it. But soda consumption has fallen over the last decade, slowly being replaced with healthier alternatives. For many that means flavored water or juice. For others, including many kids and teens, that also means coffee. If children drinking coffee rings strange to you, you’re not alone. But is there any reason to think coffee is worse than soda for a child’s health? What about the effect of caffeine and coffee during even earlier stages of development? “Research that compares coffee consumption with behaviors and health outcomes in children and expectant mothers is not definitive." Scientific disclaimer: a major challenge in understanding the effects of coffee and caffeine in infants and children is that randomized controlled trials, the gold standard of academic research, are hard to come by. In such trials, subjects are randomly assigned to a group; exposure to coffee or no exposure at all. The problem, as you might have guessed, is that a researcher cannot randomly assign your 8-year-old to consume caffeine every day. They can study an 8-year-old who consumes caffeine of their own accord, however. Research surrounding vulnerable populations (children, pregnant women, prisoners, and the mentally ill) is strictly regulated because each group consists of individuals unable to knowledgeably consent to research, or else subject to coercion. Thus, research that compares coffee consumption with behaviors and health outcomes in children and expectant mothers is not definitive. Nondefinitive food and nutrition research of this kind is everywhere and is one of many reasons eating healthy feels so confusing. Starting with conception, concerns surrounding coffee abound. Women trying to get pregnant or experiencing infertility will sometimes reduce or eliminate caffeine from their diet, likely having heard that the odds of conceiving are higher without it. There have been some data to suggest an association between a substantial coffee habit (equivalent to three or more cups a day) and infertility. Yet there is other research suggesting no negative effect of caffeine at any level. This sort of contradictory research can feel confusing and can lead to a lot of people choosing to avoid coffee just to be safe. An overview of all related research suggests that, if there is a link between coffee and infertility, moderation is the key - experts agree that a cup or two a day should be just fine. The old “all things in moderation” adage also holds true also for research surrounding complications like spontaneous abortion, premature delivery, congenital defects, and small for gestational age. In most studies, adverse effects were experienced only by those drinking the most caffeine, whose use or abuse of it may have been confounded with other less healthy behaviors. For example, high-dose coffee consumption is sometimes used to cope with stress or depression, both of which present risks to conception and pregnancy. One study found that women who drank 300 mg or more caffeine per day during pregnancy were also far more likely to smoke and drink as well. Even after birth, many new moms worry that coffee will pass through into their breast milk. During breastfeeding a very small dose of caffeine does transmit from the mother to the child. The American Academy of Pediatrics deems this small enough to be safe and not of concern except, again, in the case of women drinking many cups of coffee a day. Some pregnant and breastfeeding women will still choose to abstain, however, it's worth noting that those who do drink coffee aren’t necessarily negligent or ill-informed. Dozens of studies on many thousands of women have found no statistically significant effect of moderate coffee consumption (less than 200 mg caffeine/2 small cups a day) on expecting mothers or their babies. This is actually a conservative estimate - no study reviewed here found a detriment to drinking 300 mg or less per day. So put that judgy side-eye away the next time your pregnant or breastfeeding friend orders a cappuccino. The conclusions surrounding childhood coffee consumption are far less clear. Some risks are nonexistent or overblown, where others might be genuine. Much of the research surrounds energy drinks, soda, or caffeine as a whole. That means much of the data also inadvertently grapples with the effect of added sugar and doesn’t have the benefit of antioxidants seen in coffee. 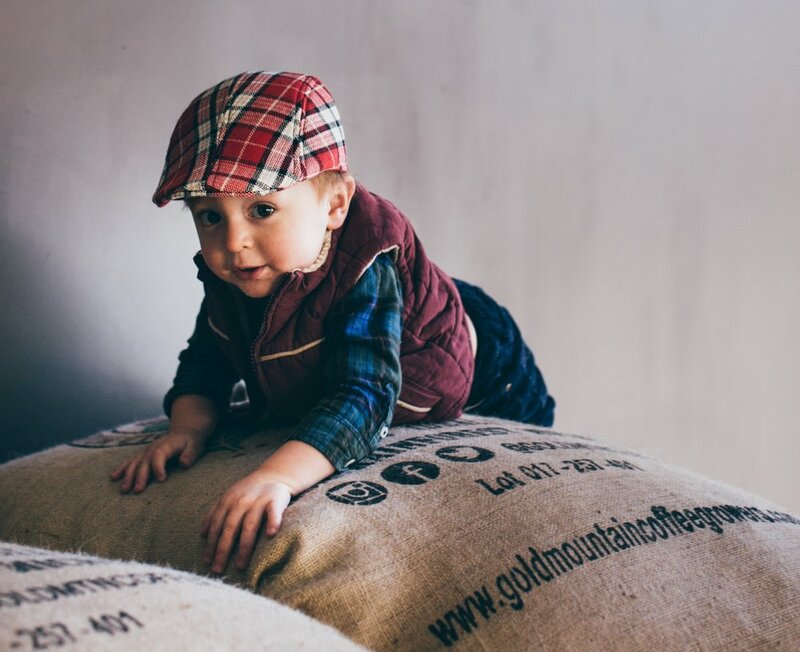 The idea that coffee stunts growth in children is probably one of the most common and enduring of coffee myths. The belief is that coffee causes osteoporosis, but this is an old idea based on an outdated study and unsupported by current scientific research. Caffeine consumption does increase the elimination of calcium from the body. Theoretically the decrease in calcium could result in osteoporosis, however, this is not proven and it is also not the same as stunted growth. Other studies have shown that caffeine, even at low doses, exhibits a cardiovascular effect on children. A single cup of coffee can result in increased blood pressure and reduced heart rate. This is probably not concerning in the short term, but the effects of a persistent caffeine habit on children’s cardiovascular health are unknown. Probably of greatest concern is the mental effect of caffeine on children. Disrupted sleep, obvious as it is, is a genuine struggle for parents trying to maintain healthy patterns for themselves and their children. Caffeine, as a stimulant, has the potential to disturb sleep for children even at levels found in half a cup of coffee. In childhood and adolescence high caffeine consumption is associated with some troubling mental and behavioral issues. For example, one study found that children who exhibit symptoms of depression drink about 4 more servings of caffeine a day than their non-depressed counterparts. Is the coffee causing depression? Or is the coffee an attempt at self-medication? Without randomized controlled trials, we can’t know for sure. Very early consumption of caffeine is also linked with other substance abuse in later years. That could be because these children get accustomed to using substances for an artificial boost. Again, however, that may be because a 13-year-old with little supervision might buy energy drinks from the corner store and also smoke with her friends outside. Coffee may actually aid children’s health in the same way that it seems to for adults - primarily diabetes prevention. There’s no clear reason to think that at eighteen years old the benefits of coffee would magically kick in, but once again the studies that look so promising for adults cannot be done on children. Caffeine has a dose to weight response like any other drug. A smaller child needs a proportionally smaller serving of coffee as compared to an adult. Health Canada recommends a 45 mg caffeine limit for kids 4-6, a 62.5mg limit for kids 7 to 9, and an 85 mg limit for kids 10-12. For adolescents, the limit is 2.5 mg caffeine for every kilogram body weight. While coffee has many potential health benefits for adults, the effect during pregnancy and childhood is less clear. The research that does exist suggests that low to moderate consumption of caffeine is probably okay. Women who are lactating, pregnant, or trying to conceive should limit caffeine to less than three cups of coffee per day. Children should probably not get more than a half cup of coffee before adolescence. Finally, extreme coffee consumption during teen years may be a warning sign of mental health or behavioral concerns. In the end, there’s always decaf. And some roasters *wink wink* know how to do that really well. Caffeine Intake No Bar to Conception. (1990). Family Planning Perspectives, 22(2), 53. Chen, L., Bell, E., Browne, M., Druschel, C., & Romitti, P. (2014). Exploring Maternal Patterns of Dietary Caffeine Consumption Before Conception and During Pregnancy. Maternal & Child Health Journal, 18(10), 2446-2455. Li, Z., Gao, Z., Wang, J., & Guo, Q. (2016). Maternal Coffee Consumption During Pregnancy and Neural Tube Defects in Offspring: A Meta-Analysis. Fetal & Pediatric Pathology, 35(1), 1. Li, J., Zhao, H., Song, J., Zhang, J., Tang, Y., & Xin, C. (2015). Review article: A meta-analysis of risk of pregnancy loss and caffeine and coffee consumption during pregnancy. International Journal Of Gynecology And Obstetrics, 130116-122. Nehlig, A., & Debry, G. (1994). [Effects of coffee and caffeine on fertility, reproduction, lactation, and development. Review of human and animal data]. Journal De Gynecologie, Obstetrique Et Biologie De La Reproduction, 23(3), 241-256. Owens JA, Mindel J, Baylor, A. (2014) Effect of energy drink and caffeinated beverage consumption on sleep, mood, and performance in children and adolescents. Nutrition Reviews 72(S1): 65-71. Pollak CP, Bright D. (2003) Caffeine consumption and weekly sleep patterns in US seventh-, eighth-, and ninth-graders. Pediatrics 111(1): 42-6. Simhan, H. N. (2015). Coffee and tea consumption in pregnancy not associated with gestational diabetes mellitus. BJOG: An International Journal Of Obstetrics And Gynaecology, 122(3), 428.
van der Hoeven, T., Browne, J. L., Uiterwaal, C. M., van der Ent, C. K., Grobbee, D. E., & Dalmeijer, G. W. (2017). Antenatal coffee and tea consumption and the effect on birth outcome and hypertensive pregnancy disorders. Plos ONE, 12(5), 1-12. Whalen DJ, Silk JS, Semel M, et al. Caffeine Consumption, Sleep, and Affect in the Natural Environments of Depressed Youth and Healthy Controls. Journal of pediatric psychology. 2008;33(4):358-367. Jesús Salazar is one of several producers on the forefront of a Mexican coffee renaissance right now. The long journey Mexico has endured up until this point has not been easy - political turmoil within the country, isolation from the United States, widespread coffee diseases, a focus on quantity over quality, and a general stagnation that sometimes comes from growers themselves not having the resources to push forward with more modern and diverse coffee producing techniques. Jesús has recognized the high level of coffee that his home state ,Chiapas, is capable of producing, and he has made it his mission to work with farmers to perfect these coffees and spread them to the world. The end goal behind this mission is that the superior coffee will fetch a higher price on the market and lead to a higher standard of living for the growers involved. We kept in touch with Jesús through email for most of 2016 and sampled coffee from a couple of his grower partners. We were extremely pleased to find how clean and flavorful the coffees were. They were all so vibrant and sweet and exhibited no defects of any kind. The bright fruit flavors and pleasant acidities signaled to us that this region was ripe with possibility. For context, most coffee from Mexico in the past has had the reputation of being grown at relatively lower altitudes and presenting very mild flavors - generic chocolate, nuts, low acidity, medium body. We felt as if we’d unearthed a buried treasure - we were sitting in front of the opportunity to be the first people in the United States to import this super exciting specialty coffee from Mexico. 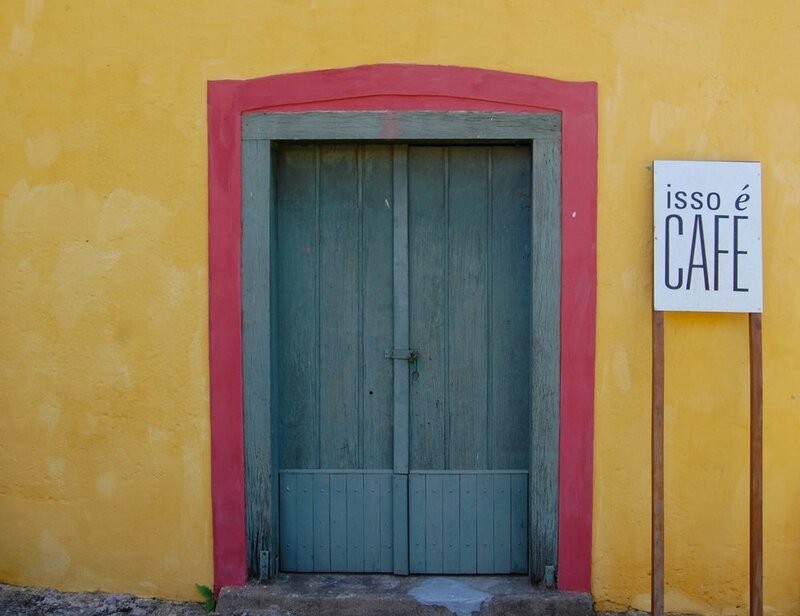 So we booked our flights to San Cristóbal de las Casas; and in fact, we were some of the first visitors to stay at Casa Cafeólogo - Jesús’s boutique hotel, that is coffee centric to say the least. There is a cupping lab, sample roasting room, and even a small huller and depulper on the back patio. Coffee processing experiments are drying on the roof on African-style raised drying beds. The front room of the hotel lobby, which fully opens to the street from huge antique wooden double doors, was being transformed into a small cafe and slated to open just after we left. Each guest room had coffee brewing gear and a bag of coffee from one of the growers that Jesús works with, roasted at Carajillo just up the street. From the single group Slayer espresso machine to the stained glass windows, Casa Cafeólgo is oozing with quality and attention to detail. It’s beautiful and inspiring to see the care that’s put into the coffee and the space and the service that Jesús is providing . The first full day in San Cristóbal we drove to visit some farmers and their families in the Tenejapa municipality. Visiting Don Lorenzo and his son is where we first saw a fairly common practice among Cafeólogo’s growing partners, and what we have since referred to as the “Chiapas soak”. They were submerging the cherries in sealed barrels for 24 - 48 hours prior to depulping and fermentation. The idea was to bring the seeds out of the cherry and into the world in a more gentle manner (not unlike a water birth) before processing. Jesús explained to us that this method better kept the structural integrity of the coffee seeds intact - leading to a more stable and better tasting coffee, even many months past harvest. As we shared pozol (a ground corn beverage) and fresh tortillas, Lorenzo’s son, Alfonso, packaged us up small bags of coffee that had just finished drying for us to take home. This is where we first witnessed the extreme kindness and generosity of these people. You could sense the familial nature that everyone had with Jesús. We were honored to be let into their homes, and they were proud to show us around their land. Next we drove down the road to visit Pedro Gomez, where we were first able to get our eyes and feet on a coffee farm. Two things to note are that: (a) these farms are less rows of trees on a flat plantation and more grown wild alongside other crops throughout forested hillsides next to or near people’s homes and (b) the coffees processing is not done at a separate mill with big machines, rather it is manually processed at the farmers’ homes. This is small-scale farming done with care and taking the manpower of the whole family. We took a walk through Pedro Gomez’s 30 year old trees; these bourbon and caturra plants were large and lanky with thick roots protruding from the earth. As we walked around the winding path, Don Gomez constantly pruned bits off of the trees and cleared the ground of debris as Jesús poetically explained the care and intention put into the plants. Not only did Pedro Gomez place in this year’s Mexico Cup of excellence, but he can also climb a tree like a teenager - we witnessed this second phenomenon first hand as he shook down oranges for us. The next day we ventured in the other direction away from San Cristóbal and went back to the Aldama municipality, where I had visited many years ago. San Pedro, the specific village we visited, is a small community with a plethora of dedicated farmers (drawn there by the school, as I mentioned in part one), many who have been collaborating with Jesús and Cafeólogo for multiple years. In fact, this is where all of the coffees we purchased this year are from. As we drove into town Jesús spotted Lucas Sántiz, so we followed him to his house to watch his coffee being hulled with one of his neighbor farmers. Hulling is the process of milling dried parchment off of the seed, taking it to its final form where it is ready to be bagged and roasted. Often in this area, farmers will either buy equipment together and share or rent from a nearby farmer that owns their own machinery. Lucas was the first person in the village to attempt naturally processing his coffee, and he has had great success. Naturals are the exception right now in Mexico, and this was the first time we had come across one (along with one other producer, Pedro Vazquez, whom you will read about soon). And we purchased both of these coffees! Because of the small amount that each grower was able to produce, the lots were mixed together, giving us two bags total. 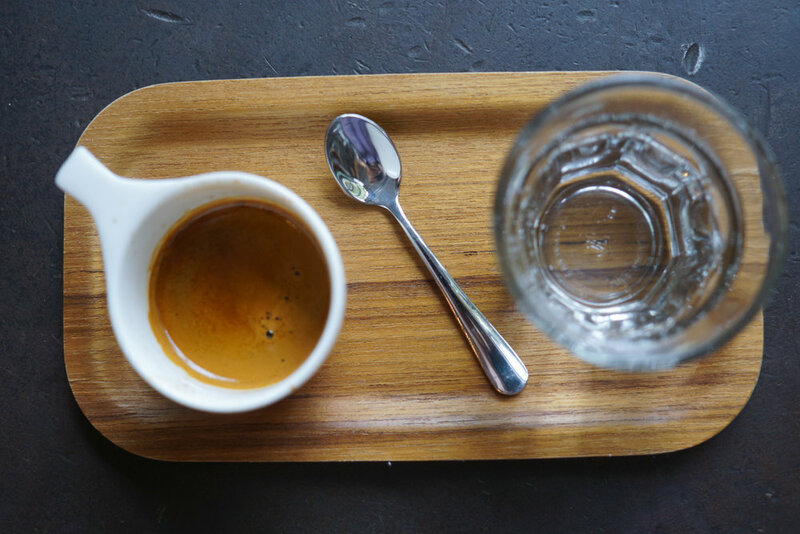 Juicy, fruity, and clean, are the three words that first come to mind thinking of this coffee. Initial taste notes were plentiful - grape candy, cherries, tropical, juicy, milk chocolate, syrupy body. 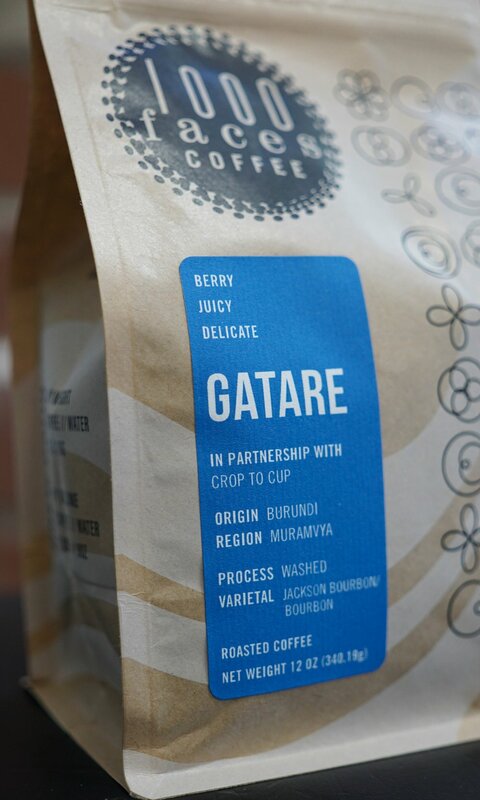 We are extremely excited to share this rare coffee! We next had a quick stop in for the best rooster stew and fresh tortillas of my life with Salvador Hernandez. Also a winner in this years cup of excellence with coffee from his farm, Finca Esperanza, he has one of the longest running partnerships with Cafeólogo and specializes in pulped natural coffees. Our next stop was across the street with Hilario and his wife, who own the little store I mentioned from my first visit to San Pedro years ago. Like almost everyone else in the area, he grows, processes, and dries all of his coffee himself, mostly right behind the store on their concrete patio. Here we were shown his concrete fermentation tanks and met his mother who was diligently watching over the drying coffee. We purchased a very nice 4 bag lot from Hilario that I think would please any coffee drinker - it’s clean and chocolate driven with a peach juice acidity and tangy molasses-like feel. Hilario proceeded to grab his machete and take us on a little tour of the town. First stop was at a small cinderblock building to show us where he and others store their processing equipment. In this case, a group of farmers bought machinery together and locked it in this building to protect it from both the natural elements and also theft. After stopping to smell coffee blossoms along the roadside and chatting with a few neighbors, the tour took us to Don Víctór. Víctór Lopez, as you might remember, was kind enough to spend time with me years ago when I visited San Pedro. He wears a good sized cowboy hat, grins ear to ear almost constantly, and is one hell of multitasker. When we showed up at his house, he was drying coffee, repairing fermentation tanks, fixing his truck, and overseeing several family members while they sorted through already processed green coffee by hand. While talking to him he would periodically walk over to the sorting and pick out a defect from farther away then I would think the human eye could notice On his drying bed, he showed us some of his coffees and the different varietals he grew. He pointed out some very large seeds drying on the patio that were maragogype variety. He discussed the future possibility of starting to sort out some of these varietals into separate lots which is something quite often done in other coffee producing communities we’ve visited in the past. His coffee was wonderfully crisp and clean, sharing many attributes of his neighbor and son-in-law Hilario’s coffee, due to similar growing, processing, and varietal choice. Our last stop in town was Pedro Vázquez’s home. It wasn’t surprising at all that his coffee was so fantastic as he seemed to be the most enthusiastic adopter of trying new methods under the tutelage of Jesús Salazar. Behind his tiny house where he lived with his family, he had just started a small experimental nursery. Jesus had gathered as many seedlings as he could from varietals popular across the world, and they plan to see what will grow and thrive in the Chiapan climate. While it didn’t happen this year, Pedro’s goal is to win the Mexico Cup of Excellence at some point. He was super quality focused and obviously saw the potential for what he could produce in the highlands. The overarching theme we noticed about the growers in Aldama was the importance and forethought that they were putting into long-term improvements and slower quality-focused growth rather than short term subsistence-only farming. This was investment in not just the health of their families but the continued success of their field of expertise. Institutional knowledge, work ethic, and the potential for quality was already there. The growers’ partnerships with Jesús Salazar just added a needed injection of more modern and focused methods and promotion to nudge something already great into the realm of amazing. Mexico right now has something to prove to the world about how fantastic their coffees can be (specifically from the highlands of Chiapas), and we feel that the coffees we chose and the growers that Cafeólogo are working with are doing just that. This is only the beginning of the renaissance in great Mexican coffees. We only have more to look forward to in the harvests to come. We are excited for our continued discussions with Jesús as the year goes on and our relationship deepens. It’s a true joy to collaborate with someone who shares the same philosophical values as 1000 Faces; we will continue to share and grow together, pushing the quality of coffee as far as we can. These beautiful coffees were grown by people with a true agrarian spirit despite lacking some of the facilities a more economically mature coffee producing region would have. These are great coffees from great producers, and you will know it by they way they look, the way they smell, and most importantly, by the way they taste. Chances are you’ve heard well-meaning family and friends tell you you’re going to get dehydrated if you drink coffee. Maybe you’ve passed on that advice yourself. In fact, the dehydrating effect of coffee is one of the most persistent food myths out there - a pound of exaggeration that comes with an ounce of truth. Caffeine, pharmaceutically, falls into a class of natural stimulants called methylxanthines. In fact, it does exert an effect on hydration. During blood filtration the kidneys are responsible for removing waste and excess water and re-absorbing nutrients that may still be of use. Caffeine causes the body to eliminate more salt, and with salt goes water. In theory, you would produce more urine drinking coffee than if you were to drink a glass of water. While the mechanism of action in the body certainly suggests truth to the dehydration talk, the problem is in the dose. In healthy adults, a dose of 4mg/kg body weight caffeine, or about 2-3 cups a day, will cause no clinically recognizable change in hydration status versus consuming the same amount of water. Any mild dehydration effects noted at these consumption levels are seen in ‘caffeine-naive’ individuals: non-caffeine drinkers on the occasion that they have a cup of coffee. The rest of us build and maintain a tolerance very quickly. These results are validated in study after study after study. Yet the dehydration myth persists- to the point that healthy average coffee consumers receive recommendations to lay off the caffeine to improve their hydration. Even in the event that you consumed truly herculean doses of coffee the amount of water lost through the diuretic effect of caffeine would be dwarfed by the amount of water consumed with the coffee. To put it briefly, it’s not a concern. So if coffee doesn’t cause dehydration, should you be drinking before or during vigorous exercise? Studies on caffeinated versus decaffeinated sports drinks have shown that caffeine does not adversely affect body temperature regulation or hydration status, even with strenuous exercise in warm, humid conditions. In fact, many top olympians use coffee to boost athletic performance, some claiming that it has the greatest beneficial effect of any legal substance. These effects are attributed to coffee’s ability to increase the speed of signal transmission throughout nerve tissues, as well as its tendency to suppress pain. The effect has been studied repeatedly in top athletes with the greatest performance improvements seen in endurance athletes. That dose of caffeine is between 3 to 7 mg/kg body weight and the science suggests drinking your fill thirty minutes to an hour before you need it to kick in. To put the level of improvement into perspective a University of Georgia study found a 24% increase in endurance performance for athletes consuming coffee at this level before exercise. If you want to figure out approximately how many 8 oz cups are right for you you can use this formula. This formula gives the low end of coffee consumption according to these studies. For the high end you can just double it, but remember that these are 8 ounce cups, which are not the same as the ones you might be making or buying. On top of that, not every cup of coffee has 95 mg caffeine. It's best to be conservative and add more joe as needed. It is worth noting also that you should know your own response to coffee before incorporating it into a vigorous workout. As noted in Part 1 of this series, for some individuals coffee can be a gastric irritant or even have a laxative effect. Barring individual reactions however, the evidence would suggest that athletes can make greater gains in performance with the aid of coffee than without. Maughan R, Griffin J. (2003) Caffeine ingestion and fluid balance: a review. J Hum Nutr Diet 16(6): 411-20. Eddy N, Downs A. Tolerance and cross-tolerance in the human subject to the diuretic effect of caffeine, theobromine, and theophylline. (1928) J of Pharm and Exp Therapeutics 33(2): 167-174. Killer S, Blannin A, Jeukendrup A. (2014) No evidence of dehydration with moderate daily coffee intake: a counterbalanced cross-over study in a free-living population. PLoS One 9(1). Millard-Stafford M, Cureton K, Wingo J, Trilk J, Warren G, Buyckx M. (2007) Hydration during exercise in warm, humid conditions: effect of caffeinated sports drinks. Int J Sport Nutr Exerc Metab 17(2): 163-177. Grandjean A, Reimers K, Bannick K, Haven M. (2000) J of the Amer Col of Nutr 19(5): 591-600. Armstrong L, Pumerantz A, Roti M, Judelson D, Watson G, et al. (2005) Fluid, electrolyte, and renal indices of hydration during 11 days of controlled caffeine consumption. Int J Sport Nutr Exerc Metab 15(3): 252-265. Perez-Lopez A, Salinero J, Abian-Vicen J, Valades D, Lara B, et al. (2015) Caffeinated energy drinks improve volleyball performance in elite female players. Med Sci Sports Exerc 47(4): 850-6. Christensen P, Peterson M, Friss S, Bangsbo J. (2014) Caffeine, but not bicarbonate, improves 6 min maximal performance in elite rowers. Appl Physiol Nutr Metab 39(9): 1058-63. Glaister M, Pattison J, Muniz-Pumares D, Patterson S, Foley P. (2015) Effects of dietary nitrate, caffeine, and their combination on 20-km cycling time trial performance. J Strength Cond Res 29(1): 165-74. Higgins S, Straight C, Lewis R. (2016) The effects of preexercise caffeinated coffee ingestion on endurance performance. Int J Sport Nutr Exerc Metab. 26(1): 221-39. Add half and half and butter in a medium saucepan and heat to 160 F over medium heat. While the dairy products heat up, whisk together the egg yolks and sugar in a medium bowl. When the liquid heats, ladel two cups into the eggs slowly while whisking. Lower the burner temp to medium-low. Immediately take the mixture off heat and cool the entire pan in a water bath to stop cooking. Alternatively spray the sides of the pan with cool water. Cool overnight in the refrigerator. Freeze your ice cream maker insert as well. Wait four minutes, push very hard on the plunger, and pour off the very small, very concentrated coffee liquid into a glass. Chill the glass glass in an ice bath to cool the concentrated coffee for five minutes. Mix with the vanilla custard and pour into the ice cream machine. It’s funny how things work out sometimes. A few years back I had the pleasure of becoming acquainted with an extremely talented and passionate coffee professional named Jesús Salazar, by chance, while on a road trip in Mexico. Little did I know that I would be going back almost 5 years later with my friend and colleague, Ben Bowdoin, intending to purchase coffee from Jesús for 1000 Faces Coffee. In 2012, I owned and ran a small mobile espresso business called Ursa Minor Coffee (imagine a tiny coffee shop in a pull behind trailer). I was serving coffee and pastries out of a parking lot in downtown Asheville, North Carolina, right next to the city transit station and catty-cornered to the social services building. This was my first foray into the coffee world and my first shot at running my own business. I learned the extremely valuable lesson that first winter that for as much as people love drinking coffee in the winter, they equally hate standing outside in the cold to get it. This was the impetus to give up my house, put my belongings in storage, and road trip through the Yucatan and Chiapas for a little over a month with my wife and young son. Driving up into the highlands of Chiapas, and more specifically its cultural hub, San Cristóbal de las Casas, is a heart racing experience in itself. After traveling through the flatlands near Chiapa de Corzo and the capital, Tuxtla Gutiérrez, you pass through a toll booth at the foothills of the mountains and begin a quick and steep ascent up federal highway 190. It feels like you are driving straight up into the sky. You go up, up, up, up, and up a little more, then descend like an airplane coming in for a harried emergency landing into the nest-like valley that cushions and protects San Cristóbal de las Casas. Located at just around 7,200 feet above sea level, San Cristóbal is a city known just a much for its stunning colonial architecture and rich indigenous culture as it is for its turbulent political history. The Zapatista uprising of 1994 was an eye opener for many in the world that knew little to nothing about Mexico’s southernmost state, and a spotlight was shown for the first time on the vast economic disparities that are at the root of many of its citizens’ challenges. While visiting that first time in 2013, I decided it would be foolish not to try to see a what an actual coffee farm looks like. I wandered around the the city until I stumbled upon an unassuming little roastery called Carajillo. Located on the same lovely pedestrian-only street, Real de Guadalupe, were two cafes of the same name that the roastery was supplying. The place was quite small - only enough room for a custom built Mexican fluid bed roaster, a long table for cupping coffees, and a small side table where a young employee was hand sorting through coffee samples, discarding the defects, with amazing speed and accuracy. Simple and attractive retail bags filled with coffee from local growers lined the shelves of the entryway. At the time of my visit, Carajillo was the first specialty coffee in Chiapas, and they strived to push the boundaries of quality and locality. I was extremely new to coffee and this was the first time I had conceived of the idea that a roastery and cafe owner could be working with farmers right up the road. This close geographic proximity goes a long way towards cementing and deepening relationships, both professionally and personally, as it allows more direct and intimate interactions with your supplier. You are able to see firsthand how the grower is taking care of their crop all the way through harvest, even inputting ideas for improvement along the way. Furthermore, the farmer is close enough that they can even come visit and start to truly get an idea of what the roastery/cafe owner is attempting to achieve with their businesses. In the case of Jesús Salazar, the children of many of the growers he works with also work for him in other areas of the supply chain, as coffee roasters and baristas. The feedback loop remains small and the family remains tight, allowing for natural progressions of quality to happen quickly with each passing year. So after mustering out some broken Spanish, I was able to get the owner’s number and give him a call. You guessed it - Jesús Salazar answered on the other end. He said that not only would he be happy to take me to visit a coffee farm, but he would also cup coffees with me and show me some roasting basics. It was like I had won the coffee lottery on my first try! The next day, we drove out of San Cristobal and into the true highlands of the surrounding mountains. After roughly an hour, we reached the Aldama municipality, turned off the winding paved road, and continued travel on a much smaller dirt road. We entered into the town of San Pedro - think a collection of modest cinder block houses, a couple of small corner stores, and a centrally located school, rather than a full on bustling city. San Pedro was established when the government started to build schools and roads in the area after the aforementioned Zapatista uprising. Many farmers came down from the surrounding hills to focus on their children’s education, building homes and setting up a town center surrounding the school. We drove up to a small store where we were met by Don Victor Lopez, who was kind enough to walk us (more like slide with us through the mud) down into the nearby forrest to show us his coffee plants. We arrived just at the end of second harvest - the second out of three total pickings throughout the harvest season, due the staggered ripening of the cherries. I plucked a ripe coffee cherry from the tree, placed it in my mouth, and pushed upwards with my tongue until the two seeds popped out of their fruit casing. As the wonderfully syrupy, sweet juice coated my mouth, I realized that it was my first time truly tasting coffee in its most beautiful and raw form. The goal at 1000 Faces Coffee, and many other quality coffee roasters alike, is to try to get the consumer as close to this experience as possible. Fast forward three years later and I am at the SCAA (Specialty Coffee Association of America) expo in Seattle for the first time. As I’m going from booth to booth sampling coffee and new products in the industry, I quite literally bumped into Jesús Salazar. I learned that it was his first expo as well, and we quickly bonded over the overwhelming nature of the event. After we get to talking and catching up, he shows me a bag of coffee from his new coffee roasting business, Cafeologo. While quality was always his focus with Carajillo, the Cafeologo venture seemed to be aiming towards taking the search for truly great coffee to the next level. The new brand was designed to test the limits and possibilities of what it meant to have quality, collaboration, and sensory exploration from seed to cup - through the hands, hearts, and minds of farmers to that of the baristas serving it. Fast forward another year and the 1000 Faces team is representing Synesso Espresso Machines on the trade show floor floor at SCAA expo in Atlanta. Jesús is there and we meet up again, but this time with intention. I introduce him to Ben and we start exploring the idea of importing the coffees of producers he works with into the United States. He had been supplying roasters and specialty shops within a few other parts of Mexico up to that point, but not in any huge volume. We left that 2016 expo with many gifts from Jesús - both roasted and green coffee samples from multiple different producers and an email address. 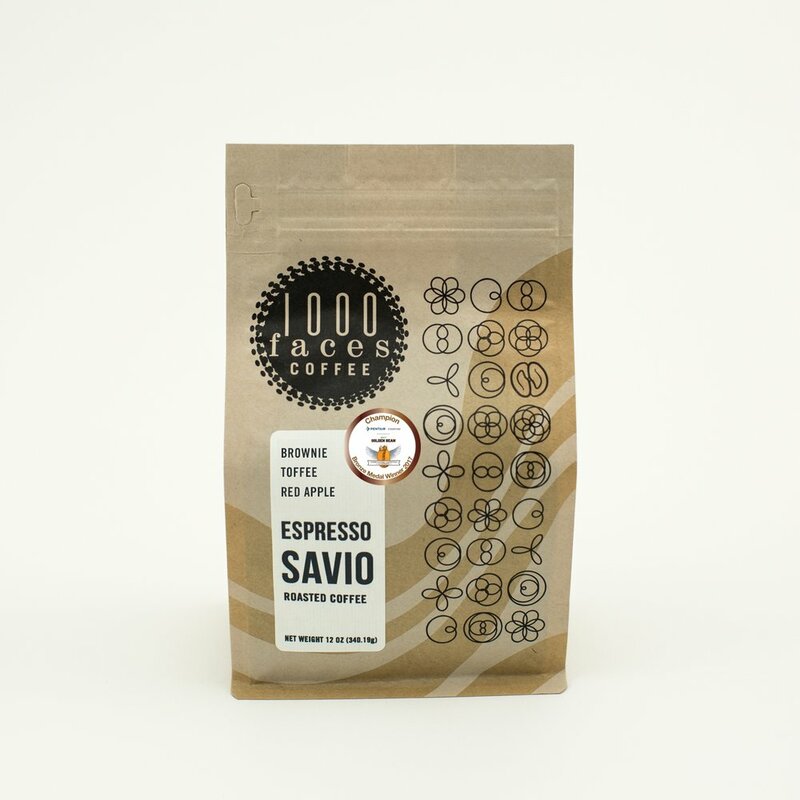 If it worked out, 1000 Faces would be the first to ever import Cafeologo’s coffee into the U.S. 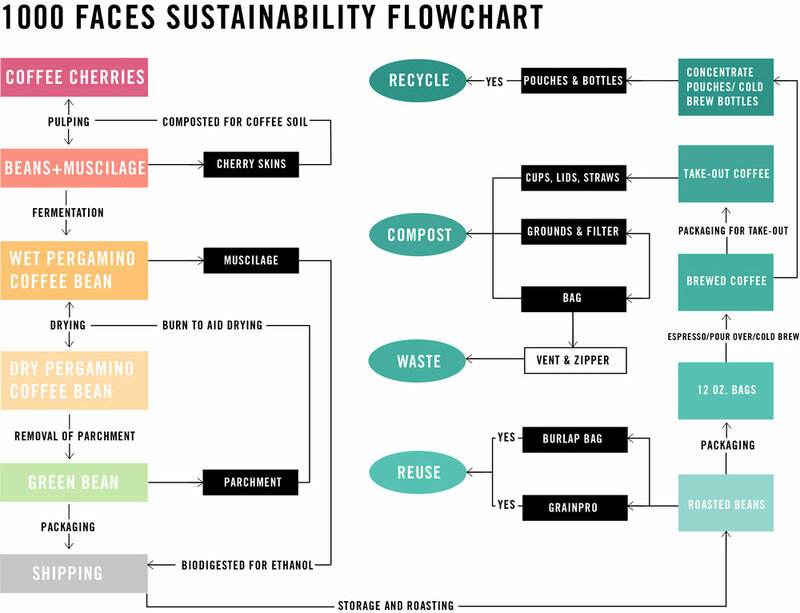 In preparation for our Coffee & Sustainability Brew School this month, we created this flow chart detailing our waste streams both on the producer/farmer end and on our end as the roaster and cafe. This, in our case, means that we must weigh the economic cost of our decisions against the environmental cost. In other words, we must make decisions that are both business friendly and friendly to the environment. It does not benefit anyone if we shut down as a business because we made fiscally irresponsible choices based solely around environmental sustainability. Our business exists to roast and serve high-quality coffee in a sustainable way - meaning for the environment (low waste, energy efficient), for our staff (paying thriving wages), and for our bottom line (making a small margin for our ownership team).